Years ago, a boyfriend bought me a copy of Jonathan Franzen’s The Corrections and I fell in love with his writing immediately. 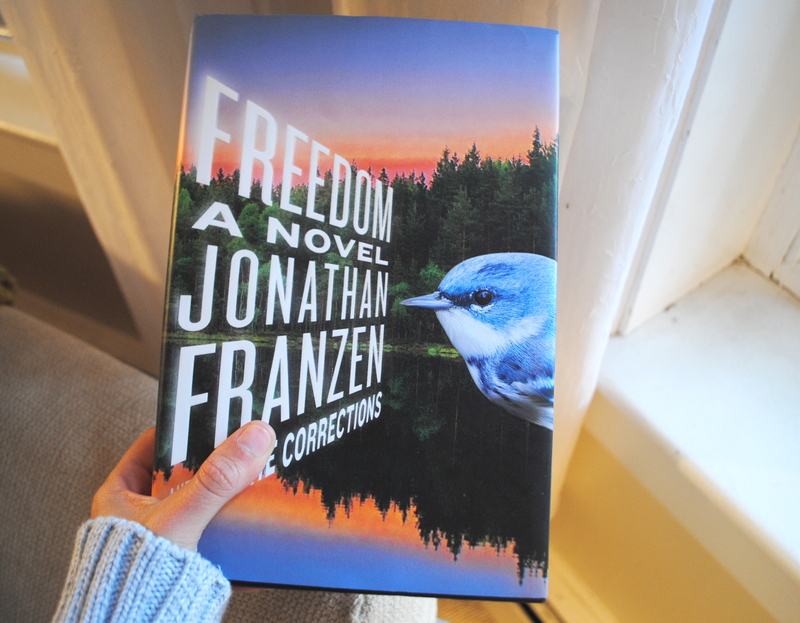 I like that Franzen is sort of a literary character in his own right; and even though everyone is talking about his latest book Freedom–and I hate literary trending fervor–I can’t put his latest tome down. It’s brilliant really. If you haven’t read any Franzen, you should. He has an uncanny ability to dive inside a character so wholeheartedly–and you’re often left wondering how he effortlessly becomes a character so seemingly different from what he embodies. And yes, he did get his glasses stolen at an event in the UK this week never mind that whole printing a rough draft issue. Enough said.